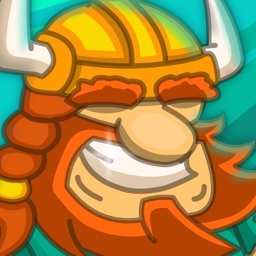 Build a viking army in our fast, fun, and free idle viking game! 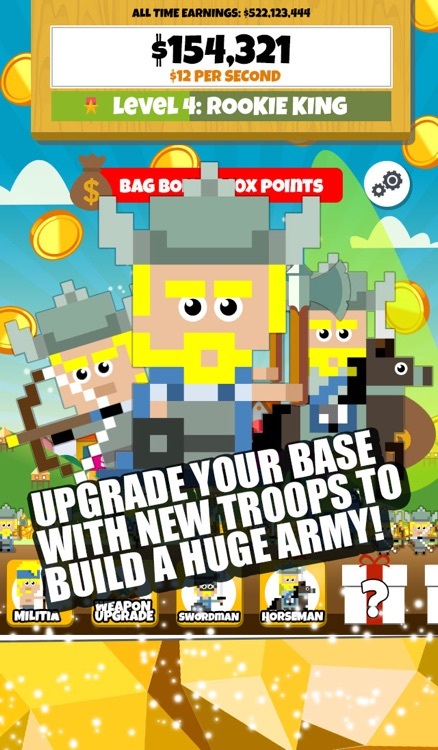 The most addictive viking army building, idle clicking, and FREE pixel war game is here! 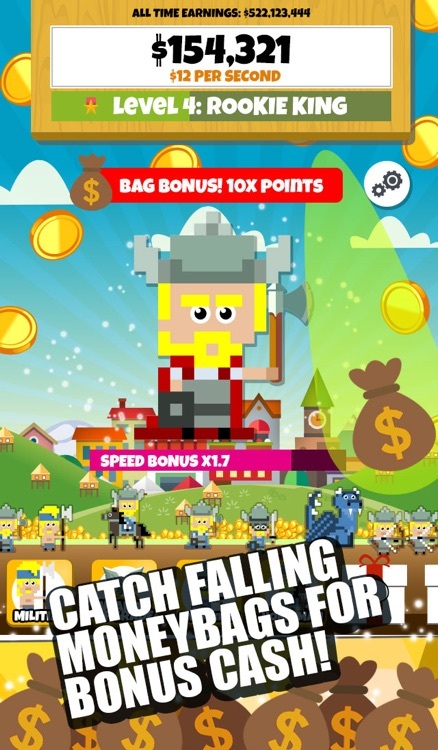 Click your way past 23 levels to build a massive fortune and a huge army of viking soldiers. See the empire you build grow before your eyes as warriors, archers, and even dragons fill up your base! 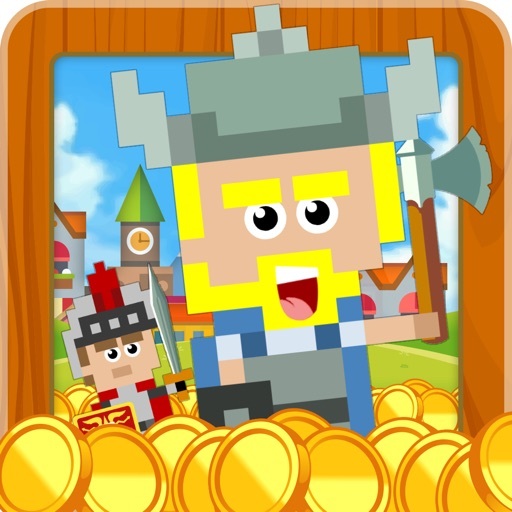 Tap on enemy soldiers to fight them, earn money, and then buy upgrades to level up and become the most successful 'Jarl' army leader of all time! Be careful though, raiders will try to steal from your idle empire with random attacks, but with all of your upgrades and bonuses – you’ll defeat them easily. Are you good enough to start the richest barbarian kingdom of all time? Yes you are! This is a free idle clicker game dedicated to vikings and army building; no pixels were harmed in the making of this game. 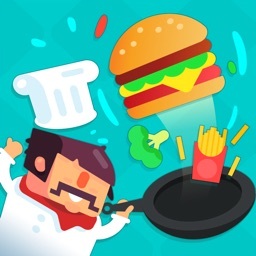 Click to fight soldiers and earn money! 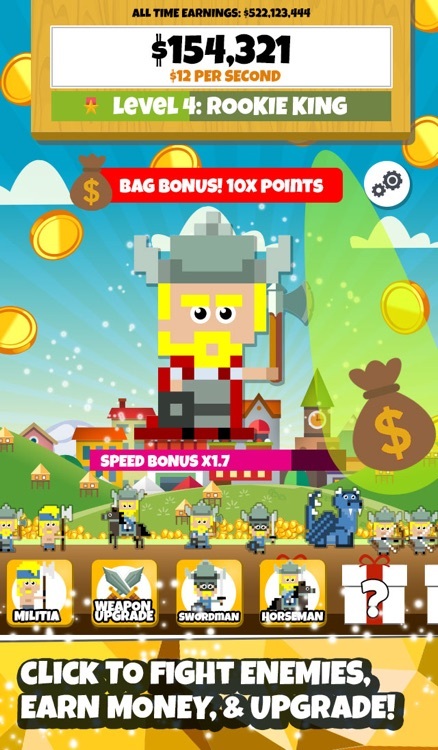 Recruit and unlock new viking troops! 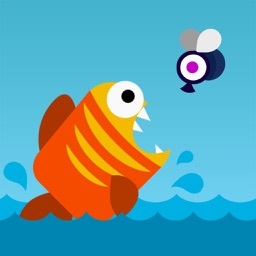 Earn idle upgrades to fight faster and earn more! Capture bonus loot bags to make your clicks count for much more! 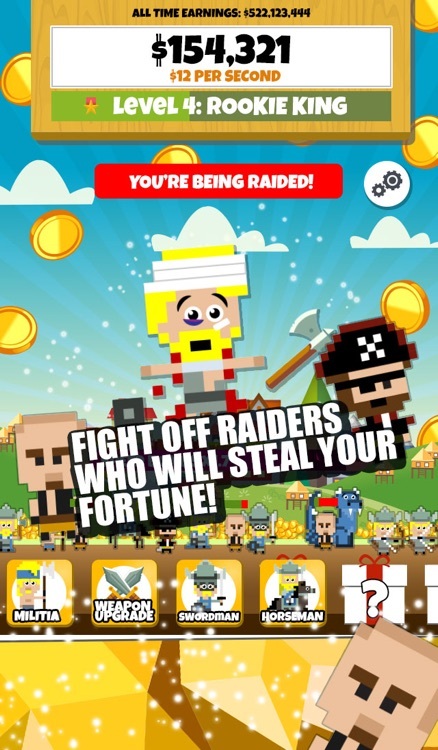 Fight off raiders who want to steal your army's fortune! 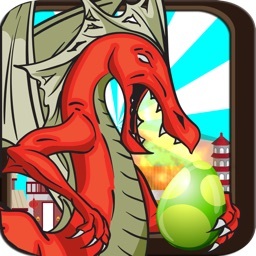 Speed bonuses make every click count, the faster you are, the more you earn! 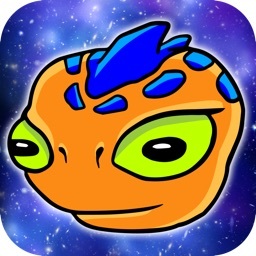 Over 23 levels to beat to prove you’re the best leader ever!